Like many people, I listen to podcasts. It was only recently that I realised that every podcast I listen to takes the form of a conversation, without exception. 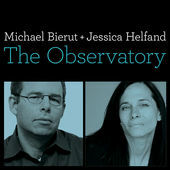 One of my favourite podcasts is The Observatory with Michael Bierut and Jessica Helfand, award-winning designers. They believe that design matters and so they discuss what has recently caught their attention in the design world. Design is a broad topic and can cover anything. In Episode 57, ‘Communion and Commerce’, among the things they discussed was the role of design in therapy and the self-help industry. This led Jessica to talk about the value of conversation and how she is developing a technique to ‘disrupt’ public speaking. Jessica teaches at Yale in the USA and is the author of Design: The Invention of Desire (2016). This book has been described by fellow designers as a meditation on design as an expression of what it means to be alive, including the ethical responsibilities that are integral to every created thing. To capture the human experience, the chapters are entitled: solitude, melancholy, humility, memory, desire and change. The book is illustrated in a most original way, with abstract paintings by Jessica. 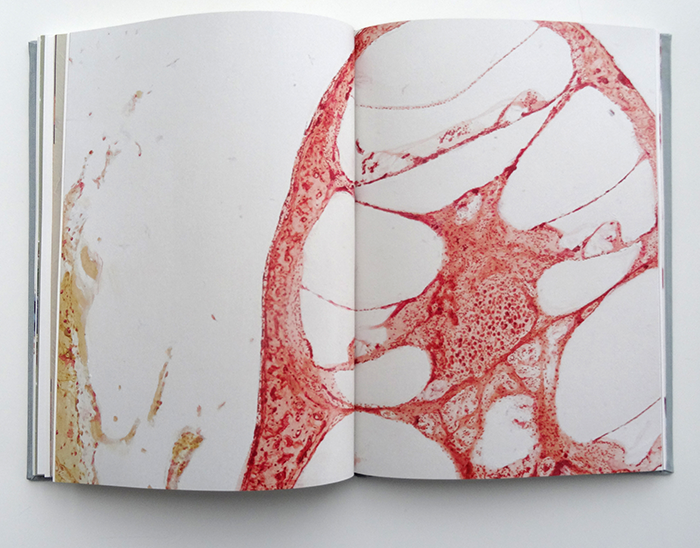 These are, in fact, illustrations of the microscopic structure of human tissue, organs, bones and nerves – the human connection in glorious technicolour. The Yale School of Management invited Jessica to develop a graduate-level course based on her book. It was for MBA students, who were neither designers nor creators but possessed real world business experience. The students would address the hard problems in life, how real people respond to the things that they see. This would include confirmation bias, credibility, leadership, shame, sadness, fear, privilege or lack thereof, and more. In designing the course, Jessica wanted to disrupt the traditional way of delivering a lecture, what is known as public speaking. She was looking for a more immediate experience to engage her class, where there were no podiums, no lectures from pontificating experts, no best practice. She developed ‘The Next Stage‘ which she describes as a series of honest, face-to-face conversations with real people. This is not about empathy as a commodity, but … to reaffirm the value that comes from listening to the experiences of others. Each student was invited to write the 13th chapter of Jessica’s book as their final presentation, describing three things that were evocations of the human experience based on exhibits found in the Yale Art Gallery. Their challenge was to come up with an assignment that they would give if they were leading the course. What she learned when listening to their final presentations was that her concept, ‘The Next Stage’, had been a game-changer, both for them and for her. It was unlike anything she had experienced in her 25-year teaching career. It was clear to Jessica that where the students’ conversations had had an honest exchange of ideas, the students had deepened their own interpersonal awareness and dramatically improved their reasoning skills. She was both astounded and moved that, over a mere 12 weeks, there had been such an enormous transformation. The students had learned how to look, and more importantly, how to listen. I doubt that when she was developing ‘The Next Stage’ Jessica was aware of David Gurteen‘s Knowledge Cafés. Over the past 15 years David has been travelling the world, promoting conversation in the workplace using the knowledge café concept, and the result is pretty much the same as Jessica has found, that simple ordinary conversation can produce extraordinary insights. If someone as high profile as Jessica Helfand is embracing the value of conversation, and her colleague Michael Bierut was clearly keen to learn more about her experience, perhaps the time has come for dull boring PowerPoint presentations to be replaced by conversation. About time too! Not everyone finds it easy to start a conversation. Posted on 04/06/2017 05/06/2017 by Susan ChanPosted in ConversationTagged behaviour, Breaking barriers, design, empathy, knowledge management, knowledge sharing, knowledge transfer, Leadership, listening, online learning.